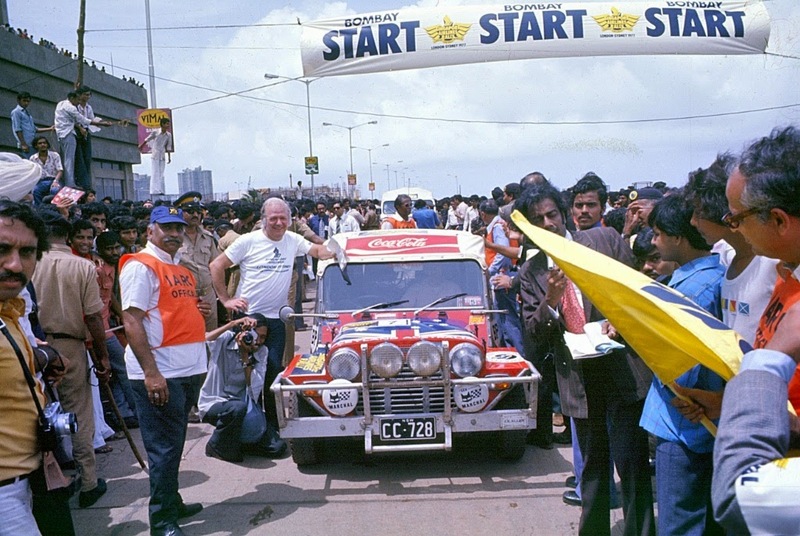 If one thing underscored how India overflows with people it was our journey through the country in the 1977 Singapore Airlines London to Sydney Car Rally, from Amritsar on the border with Pakistan, via Delhi, Bombay (Mumbai) Poona, Bangalore and Madras (Chennai). At the Rally re-start early one morning in Bombay, the affable Aussie Rally organiser, the late Wylton Dickson, posed next to our Moke minutes before we set off into the seething masses! 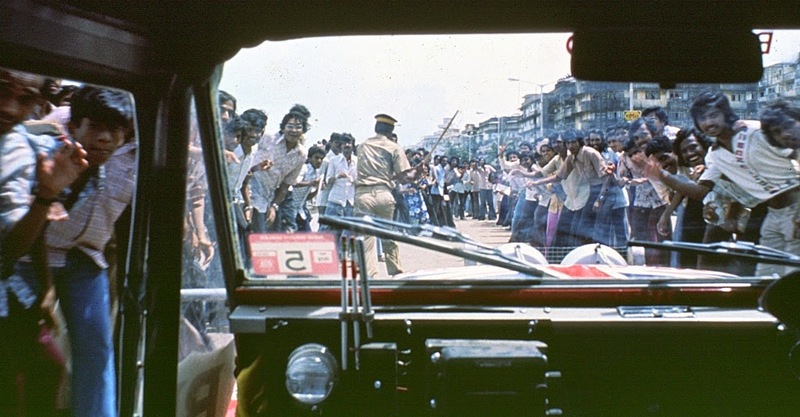 The next photo I took was from inside the Moke just after we started the Bombay-Poona section. The only way the enthusiastic crowds could be parted was for us to be preceded by a policeman wielding a 'waddi stick' and simply swinging it vigorously from side to side belting people out of our way! Yes, there were a few whelps of pain from the pedestrians, but many threw a small coin wrapped in paper with a message of encouragement scratched on the paper.